Please see flyer ASIS_150-CPP-13OCT18-CPP_Study_2018-Marketing_Flyer-20180821, regarding the Fayetteville Chapter 159 CPP Review Course, scheduled for the weekend of October 13 and 14! 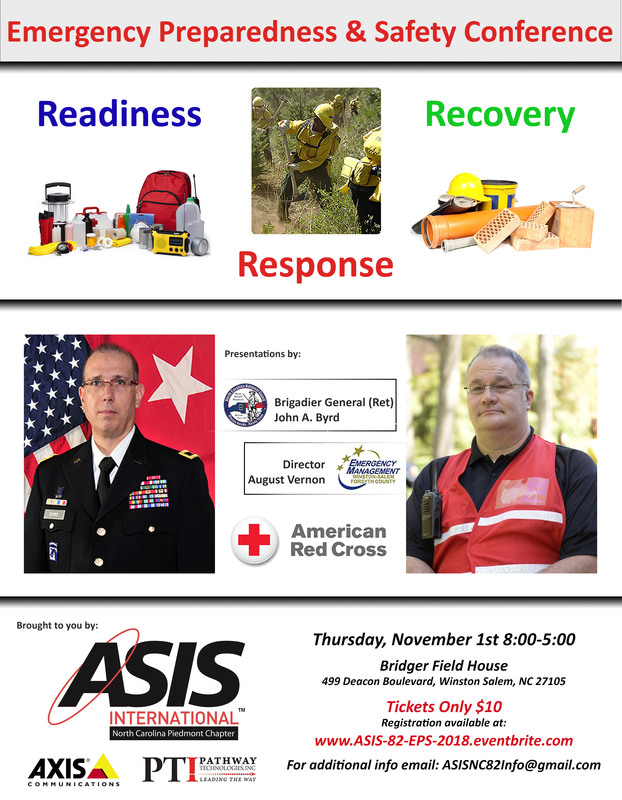 The course will be located at 409 South Main Street in Lillington, NC. There is an exceptional opportunity to participate in a fast paced guided CPP exam preparation and to earn valuable educational credit points. For more information or to RSVP please message Vice Chair Steve Perkins, CPP at vice chair@chapter159. *The cut-off for registration is 8.00 pm on October 5. The ASIS Foundation is offering a free CPP exam to each chapter – a $350.00 value. The winner selection is to be determined by the chapter leadership and we only have an additional 3 months for applicants to qualify for this promotion. The Fayetteville Chapter CPP Review program is an excellent way for all regional members to prepare for the exam and to qualify to apply for the Free Exam Award. 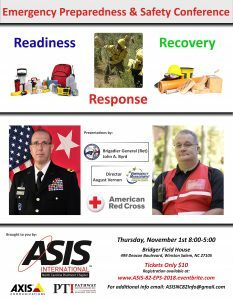 The ASIS Western North Carolina Chapter will host the first Chapter Golf Fundraiser Tournament at the Broadmoor Golf Links in Fletcher, North Carolina on October 12, 2018. There are still opportunities for individual and team registration and the registration form and flyer. A donation from the proceeds will go to Helpmate, a domestic violence agency. Sponsorship opportunities are also available to support this great event. Exciting Training Opportunity 9-15 August 2018! Independent Security Advisors, LLC agreed to offer members of the NCAPI and ASIS the military and law enforcement rates for all programs. As an example, the dignitary and executive protection training was $750.00 in 2017. In 2018-2019 has increased to $820.00, but that includes training with drones on the campus of Montgomery Community College in Troy NC. They still have scholarships available and can customize a class as needed. Please feel free to contact Mathew Parker (mparker@eptraining.us) directly, if you have any questions. Their next class is August 9-15th, in Troy, NC. They will also take care of CPR, First Aid and AED classes, as well as weapons training from the NRA range on campus and drivers training. Please see attached flyers in reference to the 2018 Pistol Match on 3/11/18. Presentation: Ed will present on the current Durham County project to switch over access control and video management systems and the lessons learned. Ed is the first Durham County Security Manager and has held this position since March 2015. He retired from Raytheon Missile Systems as a security manager and anti-terrorism officer in 2014. He also retired as an Air National Guard Intelligence Officer and retired Washington State Law Enforcement Officer. Ed holds certifications as an ASIS CPP, DoD Anti-Terrorism Officer, and a Homeland Security Professional Level 5. He has a Master’s degree in Homeland Security and three years of doctoral studies in global security. *Please send RSVPs as soon as feasible. I hope to see everyone on the 16th.